Luton Town have signed former Southampton defender Wayne Thomas on a contract until the end of the season. The 33-year-old returned to England in the new year after leaving Greek side Veroia, who he joined in the summer. 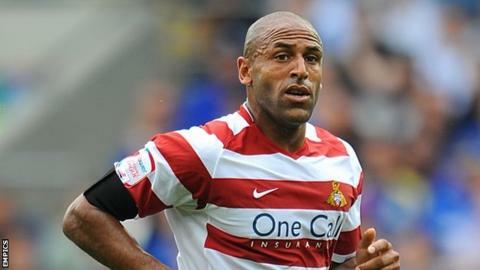 He has played 415 Football League games during spells at Torquay, Stoke, Burnley, Doncaster and the Saints. "He is another voice, another winner and is more than capable of playing at a much higher level still," Luton boss Paul Buckle told the club website. "Wayne can play at right-back or centre-half and, with the amount of games we have coming up between now and the end of the season, it was vital we bring in another man because we are going to be stretched. "He played in the Greek cup final last season and was training with Stoke on his arrival back to the UK last month so we are lucky to have him."